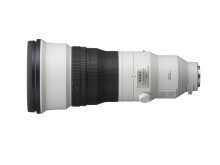 Sony tuo markkinoille odotetun 400mm F2.8 G Master™ Prime -objektiivin - Sony Finland. Uusi suuri aukkoinen Super-Telephoto Prime -objektiivi on luokkansa kevyin[i]. 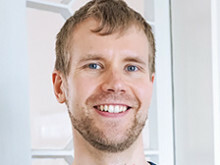 Lisäksi siinä on huippuluokan automaattitarkennus, innovatiivinen optiikka ja erinomainen kuvanlaatu. 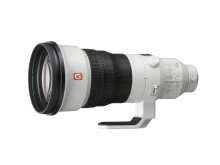 Sony julkaisee tänään odotetun, suuri aukkoisen FE 400mm F2.8 GM OSS -super-telephoto-objektiivin (SEL400F28GM). Tuote täydentää Sonyn E-bajonetin objektiivimallistoa. Uutuusobjektiivi sopii erityisesti ammattilaiskuvaajille urheilu- ja luontokuvaukseen. SEL400F28GM-objektiivin suositushinta on n. 12 500 euroa. VF-DCLP-suodattimen suositushinta on n. 500 euroa. Tiedote englanniksi alla. Koko alkuperäistiedote on liitteenä PDF-muodossa. Weighing in at only 2897g, the new FE 400mm F2.8 GM OSS lens provides a level of portability and handheld manoeuvrability that has never before been achieved in a lens of its class.The remarkably light weight of this lens is achieved through an innovative optical design that includes three fluorite elements, with a reduced number of elements deployed at the front of the barrel, as well as the liberal usage of durable magnesium alloy components. Additionally, repeated field tests and evaluation by professional photographers across the world have led to a lens design that is not front-heavy, reducing moment of inertia that resists rotation by up to 50% as compared to the SAL500F40G. [ii]This ensures that quicker, more precise panning is available, whether shooting handheld or on a monopod. 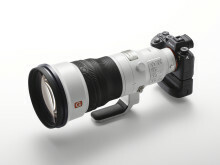 To best take advantage of the rapidly evolving shooting and focusing speeds of Sony’s latest cameras, the FE 400mm F2.8 GM OSS lens features two newly developed high-speed XD (extreme dynamic) Linear Motors that drive the lens’ focus group, achieving up to a 5x improvement[iii] in moving-subject tracking performance.These motors are supported by specially developed motion algorithms to minimise lag and instability and control noise levels, resulting in exceptionally quick, accurate and quiet autofocus performance.This allows the lens to capture dynamic, fast moving athletes or wildlife with ease. 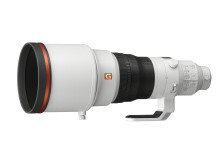 A member of the Sony’s flagship G Master Series lenses, the new large aperture super-telephoto prime lens features an incredible level of image quality and detail, with outstanding contrast and resolution maintained all the way to the corners of the image.The unique optical design includes three fluorite elements that help to minimise chromatic aberration and suppress any amount of colour bleeding. The lens has also been coated with Sony’s original Nano AR coating to suppress any unwanted reflections, glare, or ghosting. 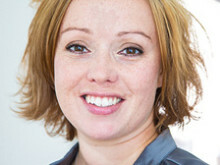 In addition to the impressive resolution, the lens features an 11-blade circular aperture mechanism that allows it to produce extremely natural and beautiful background defocus or bokeh’.Each lens is also individually tested and adjusted at manufacturing stage to achieve maximum image quality and ‘bokeh’. There is also an ample amount of hard controls on the lens, including a ‘Full-Time DMF’ switch to immediately engage manual focus at any point, customisable focus hold buttons in four different locations on the lens barrel - allowing easy access of an Eye AF for example, and a focus ring that features Linear Response MF for fine, responsive manual focus.The new lens also features built-in optical stabilisation for dynamic sports action and three different ‘Mode’ settings, including a brand new Mode 3[vi] setting with an advanced algorithm that ensures easier framing when following moving subjects.The new model includes a function ring with selectable ‘Preset’ and ‘Function[vii]’ settings, further adding to the customisability, a first for any Sony lens. 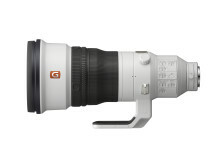 The FE 400mm F2.8 GM OSS includes a drop-in filter slot[viii] that accepts ø 40.5mm ND and other filter types, as well as the optional VF-DCPL1 Drop-in Circular Polarising Filter.The VF-DCPL1 filter can be rotated to achieve the desired polarisation while installed in the lens. 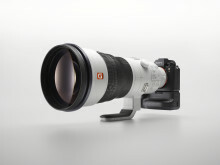 The latest system software update (Version 3.00) for α9 (ILCE-9) provides support for the new FE 400mm F2.8 GM OSS (SEL400F28GM) lens to optimise optical image stabilisation performance and enables continuous shooting with auto focus trackingeven when aperture is greater than F11. 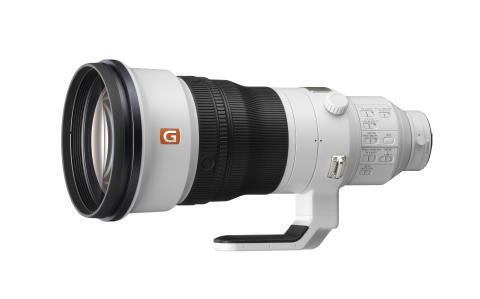 Built to order, the new FE 400mm F2.8 GM OSS will ship in Europe in September 2018. The optional Drop-in Circular Polarising Filter (model VF-DCPL1) will ship in Europe in December 2018.